One of the best things about BritMums is the wide array of experience and knowledge our members have. From time to time we’ll feature advice, tips and stories about parenting from our members. Today, we have Rosie Scribble writing about a topic that affects too many young girls today and some young boys, as well as their families: anorexia. Over to Rosie. Anorexia Nervosa is a topic that does not make easy reading, yet many of us will come across it at some point in our lives. Eating disorders, such as anorexia, affect 1.6 million people in the UK. For the parents of a child with anorexia, it can be a confusing, infuriating and heart-breaking problem. However, recovery is possible even after long periods of illness. I am proof that even chronic anorexia can be overcome. I developed anorexia at the age of 15. Unable to cope with the pressure of exams and suffering from severe depression, I discovered that by not eating I could block out my feelings of intense anxiety. I also suffered from very low self-esteem. Losing weight gave me a sense of achievement and the belief I was good at something. Delays in receiving professional help meant that my condition deteriorated. I was hospitalised aged 17 and many admissions followed. After over ten years of poor heath, motherhood gave me the motivation I needed to look after myself and act as a positive role model to my daughter. It has taken a great deal of time and a high level of therapeutic intervention but I would now class myself as fully recovered. During my illness I was keen hear others’ experience of anorexia but could find nothing on the market. I decided to put together my own book. Anorexics on Anorexia documents the experiences of 19 people from a variety of different backgrounds all at different stages of recovery. Anorexia rarely stems from a single cause. Instead it results from a number of different factors, such as family problems, relationship problems, traumatic events, bereavement and exam pressures, which build up over time. Eventually the point is reached where the individual can no longer cope. Although ‘anorexia’ means loss of appetite, those with the illness deny their appetite and severely restrict their food intake. They are often extremely hungry and preoccupied with food. They may also exercise vigorously, use laxatives or make themselves sick. Controlling food is a way of expressing distress and a way of focusing thoughts away from other more painful issues. Starving and losing weight can become their only way of feeling safe and one of the few areas of life they are able to control. Ultimately the illness controls them. Parents are advised to educate themselves about eating disorders and be aware of the early warning signs. These include cutting out high calorie foods, hiding food, claiming not to be hungry, as well as more noticeable signs such as weight loss. But what do you do if you notice these things? Here are tips from my experience and research on how you can help your child. 1. Early diagnosis is vital. The earlier medical treatment is offered, the less time there is for eating disordered behaviour to become deeply engrained. The first port of call is your GP who can refer on to specialist services. (Understanding of eating disorders among GPs varies, so if you do not get the referral you need, be extremely persistent or find another GP.) NHS services typically have long waiting lists. Seek professional advice on how to manage your child’s condition during this time. You may be required to monitor your child’s weight and food intake. 2. Investigate self-help organisations such as Beat (formerly the Eating Disorders Association) and Young Minds. https://youngminds.org.uk Take advantage of their helplines, advice sheets and resources. 3. Despite how frustrated you may feel about your child’s eating behaviour, try to remain calm and understanding. Getting angry with your child simply won’t help. 4. Be aware of online activity. Pro-ana websites attract vulnerable children with eating disorders. They are unregulated and extremely dangerous. Explain to your child that the images and the nature of the discussions in these sites concern you. Discuss that they are communicating with people who are also unwell, who may be giving unhelpful advice and may not want to get better. 5. Eating disorders affect the whole family. Consider the needs of your remaining children and take time to talk to them about their feelings. Ensure your sick child is not the sole focus of your attention. 6. Don’t neglect your own needs and seek help to manage your own stress levels. Take up a hobby or activity outside the home, or get professional counselling if necessary. 7. Be inclusive. Parents need to work together when discussing their child’s treatment and care. Try to involve your child in any decisions made. It is important their opinions and feelings are heard and they do not feel you are plotting behind their back. 8. Involve your child’s school so they know what is going on and can offer help, if necessary, especially at meal times. 9. If family therapy is recommended, don’t be reluctant to attend for fear of being cross-examined. 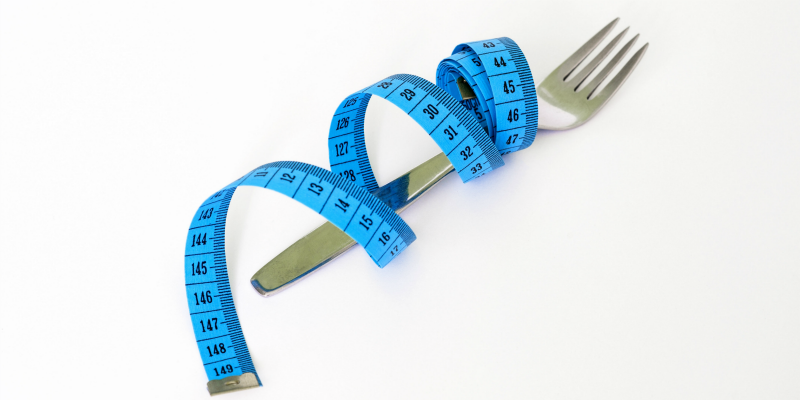 Research has shown it can be extremely effective in the treatment of eating disorders. 10. Remember that recovery takes time. Your child needs to be able to trust the professionals working with them and this does not always happen straightaway. It can also take time for professionals to find the best treatment package for your child. 11. Change tactics if you don’t see progress. If the situation isn’t improving after a reasonable period of time, it may be best to seek a different approach or different providers. Discuss your concerns with the clinical team. If your child’s condition is deteriorating, then the treatment they are receiving needs to be evaluated. 12. Consider whether hospitalisation is necessary. While the majority of people with eating disorders are able to recover without inpatient treatment, a period of hospitalisation may be necessary for those not responding or when their life is in danger. Admissions can be made voluntarily or under the Mental Health Act. No-one with anorexia would welcome being sectioned and treated against their will, but sometimes this is the only way a severally ill child is able to receive essential treatment. My belief is that they will thank you in the long run. Hospitalisation worked for me. By having no choice but to put on weight I found that my concentration improved, I was less preoccupied with food and my mood started to lift. With the support of the therapeutic team, I gradually began to feel more positive about my future. Despite having several relapses and many hospital admissions, each one took me a step closer to recovery. 13. There has to be a willingness on the part of your child to get better and that can be difficult especially if your child is very depressed. Encourage them to mix with friends and take part on normal every day activities. 14. Try to be positive and upbeat about your child’s life and their future. Don’t make food battles the only conversation you have. Try to remember what they were like before they became ill because that person is still there. With support, perseverance and professional help, anorexia nervosa can be overcome. Eating disorders take many years to manifest themselves and so recovery will take time too. Eating patterns need to be stabilised and a normal weight maintained, but long term recovery can only be achieved if the psychological problems causing the initial problem are effectively dealt with. Recovery is not easy, but it is certainly possible and extremely worthwhile. Rosie you are such an inspiration, apologies to anyone who thinks that sounds cheesy, but well, you are! More power to you, thank you for thi spost, I hope it can reach lots of people as there’s no doubt it can make a difference. Thank you for sharing your experience Rosie and for all the practical advice. Thank you for sharing this Rosie. For those of us who have been fortunate enough not to have been affected by any eating disorders it is really important to ensure that we have a good comprehension of them to help spot potential problems. Brilliant post Rosie and hat’s off to you for sharing. Excellent and sensible advice. Thanks for sharing this. My sister is currently battling an eating disorder and this is very helpful to read. I’ll also pass it onto my Mum as I don’t feel like she properly knows how to speak to my sister about it and how to cope with it herself. Good for you, writing about this, Rosie. Thanks so much for sharing. Excellent post – really great and useful information and surely hugely encouraging in that you show it IS possible to beat this horrible illness. I agree with DD – and do wish that the fashion industry would take a little more responsibility too – such appalling role models for young girls. Thank you Rosie. You have taught mesuch a lot about something I assumed I understood. Well done to you & your support network for getting here & for sharing.